Let’s face it; we all have the itch to know what our competitors are up to. What keywords are they targeting? How much traffic your competitor is getting? Who’s linking to them? These are all questions that we as SEO’s, marketers, and business owners want to know the answer to. Perhaps your situation is different, and you are looking to acquire a new online based company but would like more data before making an offer and going into a due diligence process. The answers to these questions can provide vital insight as to how well they are doing, how the market is doing, what marketing strategies they are using and much more. Sometimes we spend a bit too much time obsessing over this or even a bit too much money delving into it. However, with free tools, we can get the info we need for a fair analysis and much more in a relatively short amount of the time. 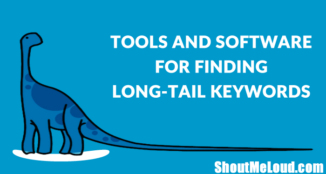 In this post, I will show you the free tools, and the process I use to dissect quickly and analyze my competitors giving me a curiosity satisfying the idea of their search engine strategy and traffic, and new ideas for my strategy. I focus on two aspects of interest. Keywords & Traffic: Simply put, how much traffic are they getting, and where is it coming from? Is it organic or paid? If a competitor is getting organic traffic, for what Keyword they are ranking for. 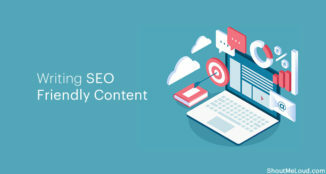 Backlinks: Analyzing the backlinks can give you great insight as to where you can get links if they are actively doing SEO, and the quality and sustainability of their SEO efforts thus far. To view a site search traffic and keywords I use SEMRush . This tool shows you great data about sites’ search engine traffic based on estimates of keyword traffic and rankings. In its free form a user is allotted a few (I believe 5) uses per day, and limited information. However, the data provided in its limited form is quite powerful. Across the top of the page is a selector that gives you the ability to show data relevant to specific countries. This is a feature is often overlooked but provides some great insight, especially for those doing business internationally. This data could provide something as valuable as identifying a ‘goldy keyword’ in another language you may not have been aware of. 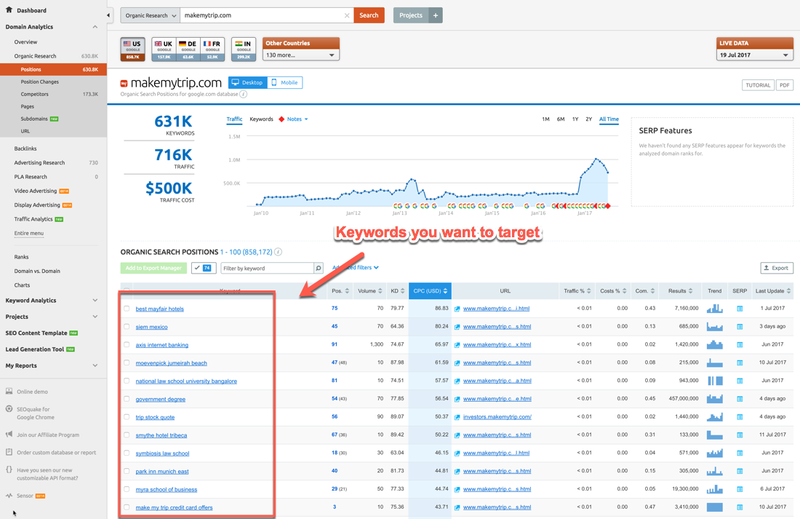 Underneath that SEMRush shows the top 5 traffic driving organic and paid keywords. 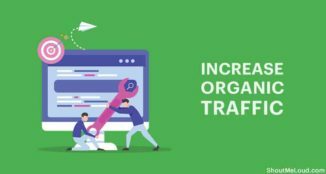 It identifies such information as their average position as well as the exact match local search volume for the country chosen and a percentage estimate of traffic that keyword contributes relative to the site as a whole. Perhaps the most interest part of this free tool is the graph in the left column. This graph accounts for all estimated search engine traffic and can show you whether the site is increasing or decreasing in popularity, or whether it was hit by a Google algorithm update. Algorithm updates are usually indicated by a sharp rise or decline in traffic that coincides with published Google updates. In a recent article here at ShoutMeLoud, Harsh mentioned about this tool and it looks very promising. Not truly a free tool but with the backlink report you can generate with this tool, I’m sure you will not like to miss it. 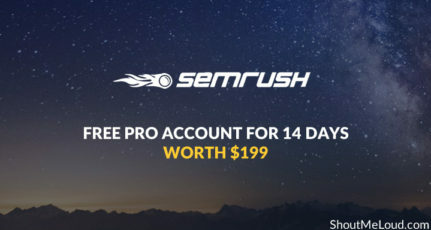 Like SEMRush, they also offer few reports every day, which may be sufficient for many, but you can always opt for any basic paid plan and get extensive data report. 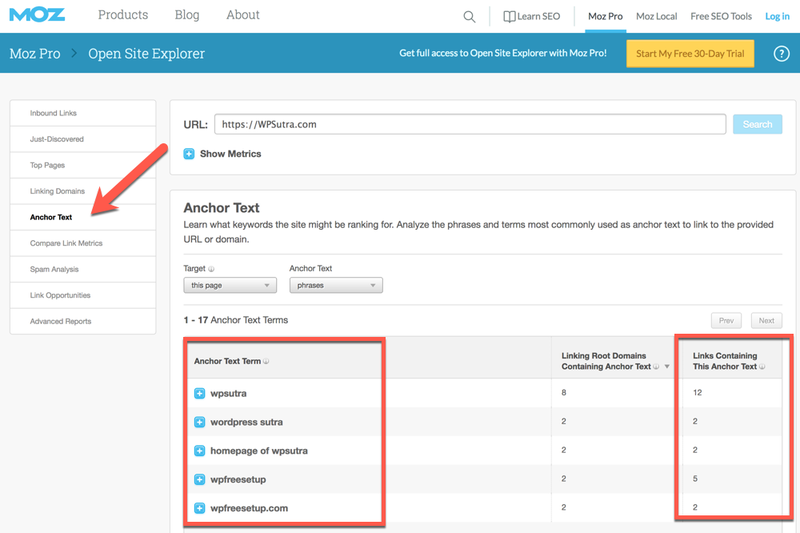 You can check what all anchor text is being used by your competitor to get links to their site. How they are working on their link building process and how many backlinks they are adding every day. 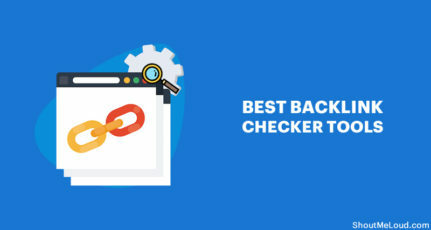 These are some of the features, which make this backlink checker tool stand out of others. 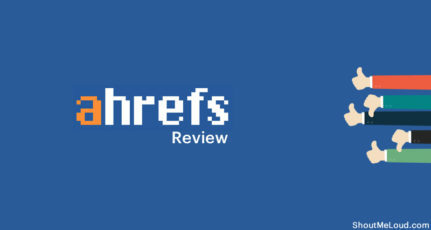 However, in the past few months, Ahrefs has graduated from being a backlink checker tool to keyword position tracking tool, Keyword research tool & more. This is another must have tool for everyone who wants to find how their competitor is ranking higher in the search engine. Links are still the basis for SERP dominance. Even as social signals gain increased popularity the SEO community, links are still the predominant ranking factor as indicated by Matt Cutts at SMX Advanced in July 2012. That said, knowing who is linking to your competitors, how your competitors are building links, and if and when they are actively engaging in link building is something of value to you. The free tools mentioned here will have some overlapping data, but they each present it to you in a unique form. OpenSiteExplorer (OSE) digs up a site’s backlink profile and even in the free view displays enough information to satisfy our spying efforts on the competitor site. Most notable in my opinion is the anchor text tab, which displays the most prominently used anchor text. Usually, the last tool I use, as soon as I arrive at the site I click over to the backlink history tool. 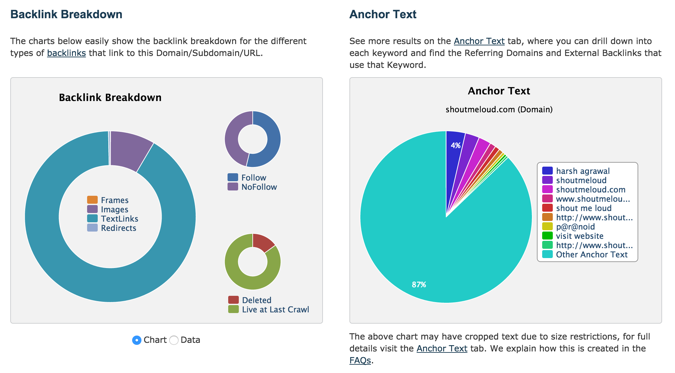 In the backlink history tool, you can see patterns in link building. The different setting can reveal sudden influxes of links at certain times of the year perhaps revealing when they focus on SEO. With these tools you’re now fully capable of getting an idea of what your competitors are up to and how their business is doing – at least in an online sense. Do let me know how often you track your competitor’s traffic, Keyword and backlink profile? How do you use this data to compile your next SEO strategy? 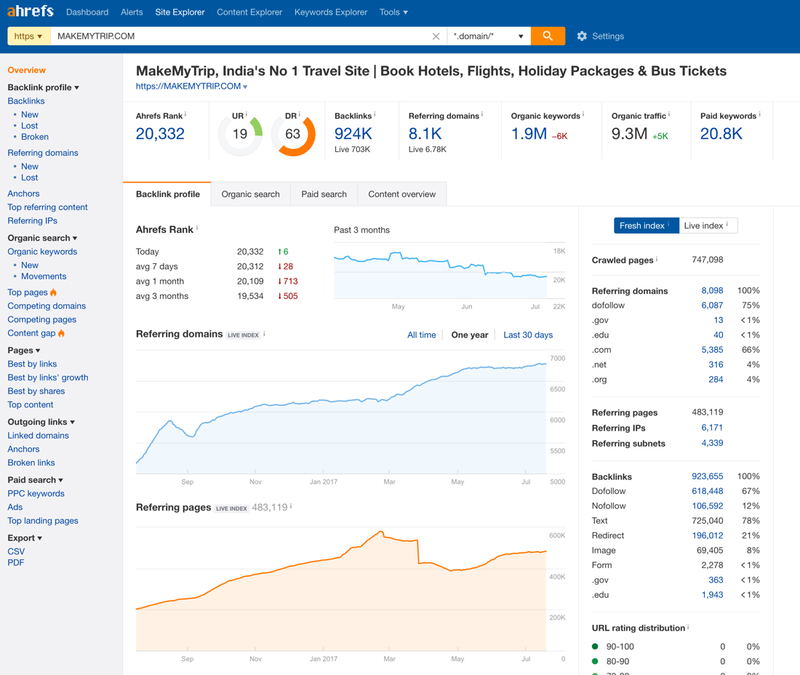 I like to use AHREFS to gather some backlink data for the competition and I feel it is a very useful tool. Ahrefs has become one of my favorite too.. Though for now I usually use it for keeping an eye on Backlinks and yet to explore the new features they have added. 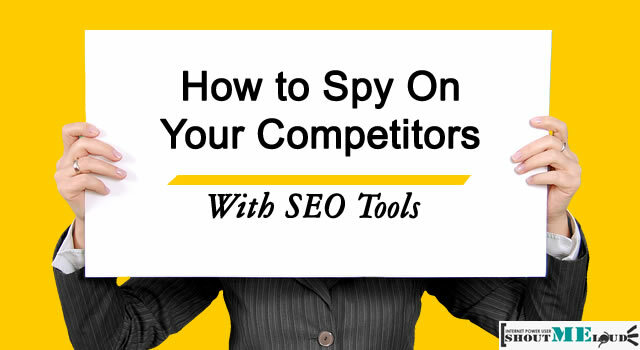 Thanks, a lot, after reading your post I can spy my competitors backlink. Also I have mentioned your domain in my blog. keep doing great post. Thanks for mentioning ShoutMeLoud & glad this article helped you! Very helpful post Mr.Davis, I like the way you described the points in spying competitors. 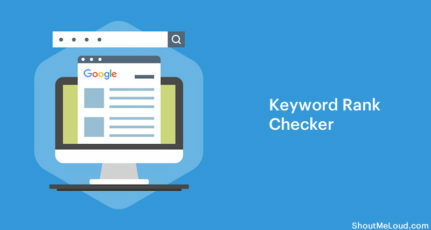 I am new to blogging, and this post is very helpful for me to do keyword analysis and try to rank better in search engines. Great article Davis, It helps me a lot to get back linking sites of my niche. These are very useful tools for blogger. Nice article! I really enjoyed it! Do you think that these tools will become more important in future as people get accustomed to doing competitor analysis regularly?